Make each customer feel unique through personalized letters. The most effective way to gain customer satisfaction and loyalty is through a personalized marketing campaign. This piece features real handwriting, not computer generated font, live stamps and Blackbook value copy with customer’s potential trade-in value. 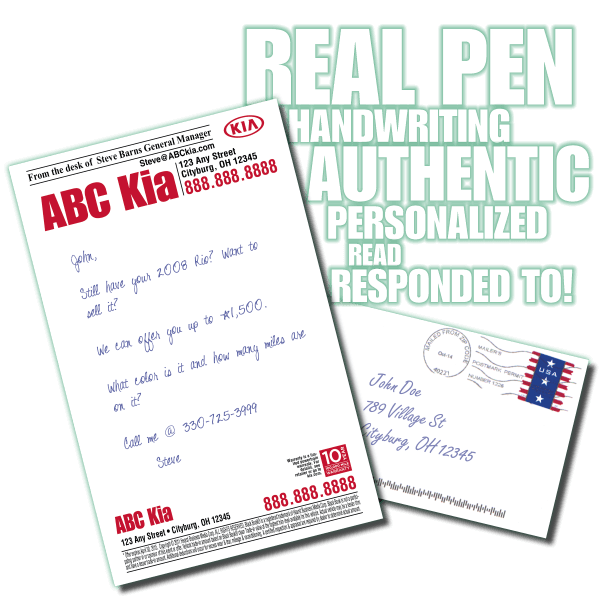 With personalized letters and envelopes, the hand written note mailer has proven to bring customers into showrooms quickly to shorten the sales cycle. 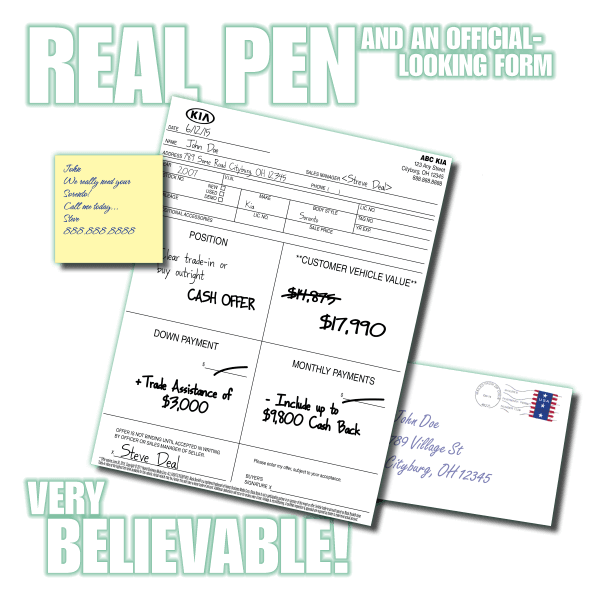 Combining Real pen handwriting with an official-looking form, this piece has a high feel of authenticity that appeals to customers. With a personalized buy-back offer and the ability to incorporate a number of different hooks, this piece is great. 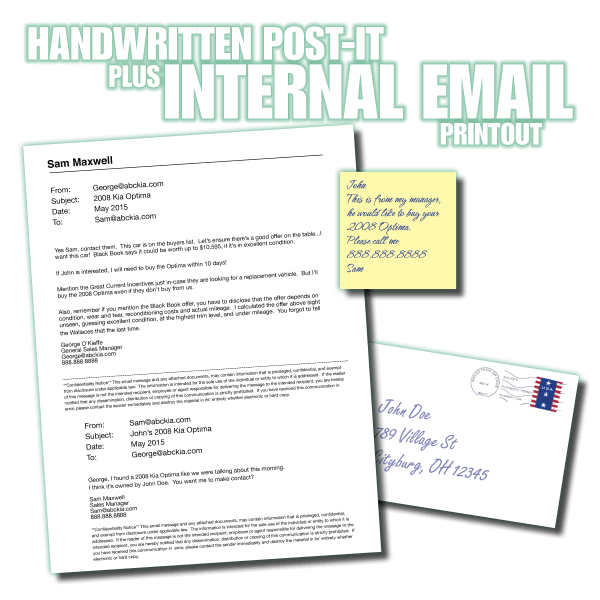 This package couples a Real pen handwritten Post-it and envelope with a personalized letter with a buy-back offer, made up to look like an internal email communication. 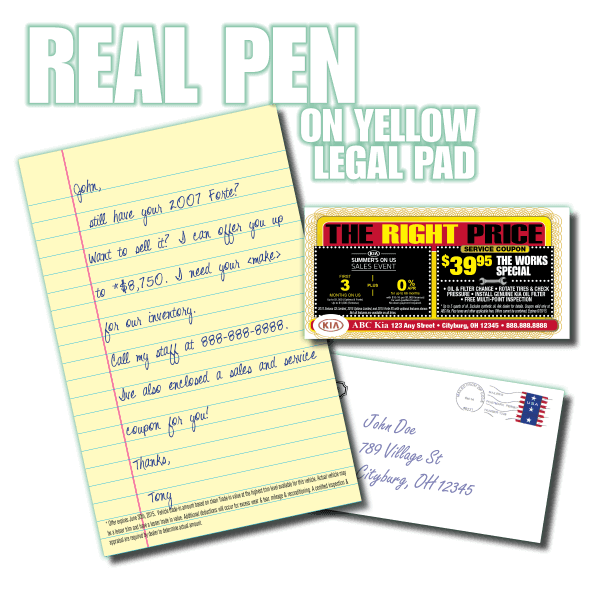 Real pen handwriting, this piece truly looks and feels like your saleman sat down and wrote out a quick note personally to the customer – a very “no gimmicks” style targeted piece.